When I was younger, I was heavy into media like anime and alternative music. I was even into Japanese fashion and scene culture. However as a young black girl, there was literally no one that looked like me. As such, I was easily discouraged when I wanted to get into say goth or kawaii fashion. Nowadays the game has changed and a lot more people who are doing blogs and YouTube. But if you don’t know where to look, it can still be a bit difficult. 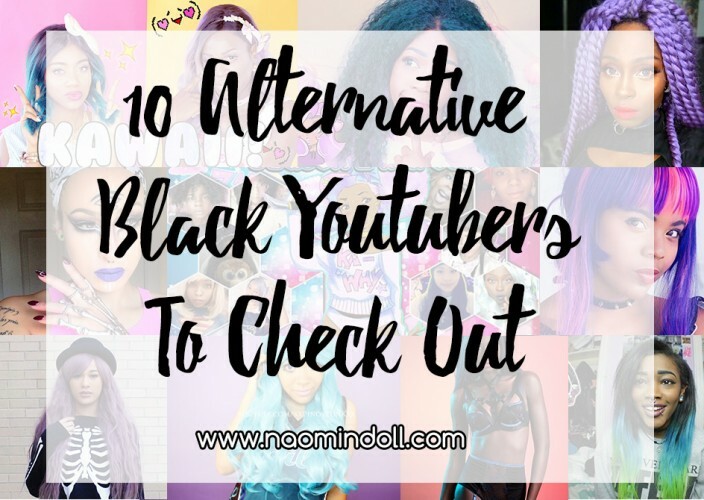 Therefore to help you out, I’ve made a list of five alternative Black YouTubers that you should check out. This post is not the end all be all of black alternative YouTubers, or one based on popularity. It is a list that I compiled based on the YouTubers who I want and videos that I enjoy. If you want to see who made my list, then continue reading after the jump. Also going by the name Merqueen Nef, she is the first lovely woman to grace this list. She started making videos about three years and was original know for her big colored fro. Over time her YouTube has grown to be so much more. With her expanding to do video reviews and make-up looks on the goth-ier side of life. Ify is a YouTuber that I’ve known about for years. Before doing videos, she was a blogger and was a prominent face in the gyaru community. She started doing videos on YouTube on her own channel back in 2011. While she started doing videos on gyaru fashion, she too has also expanded. She now make videos about her life experiences, interests on Japanese and Korean culture. Basically she’s a beauty, fashion and lifestyle vlogger with a big huge dose of kawaii. Drew is arguably one of the biggest names in the YouTube goth community. Drew is known for bright red hair and punky-aesthetic. On her channel you can see an array of videos on the alternative lifestyle. From makeup to DIY to cute and funny vlogs, you’re almost guaranteed to never be bored while binging on her videos. While Miles might be the only guy on this list he’s not one to be ignored. He’s know for his sketches, parodies and in recent years his hair and beauty videos. Now what I love about Miles is that he’s hilarious and it’s great seeing a guy that is not constrained by gender stereotypes. If you wanted someone who is going to give you laughs while slaying the wig game, then you’ve found your guy. Nickeil is another YouTube that has been around for a while and has over 100 videos. She specialises in doing special effects and inspired make-up looks. She’s amazing in her ability to transform herself into just about anyone or anything with the power of her make-up. Shelay is photography student who is aspiring to become a YouTuber. She has videos dating back from last year, and even though she started off with only 300 subscribers, she has definitely grown. With Shelay, you’re getting a plethora of videos from vlogs to information and reviews on piercings. Tima is a YouTuber that you’re bound to know if you watch videos from Miles Jai or TheLovelyIfy. With her you can get extreme makeup videos, beauty tips, look books and most of all, kpop videos. She is another girl whose videos’ quality has improved over the years. Glee is also someone who is known as a big name in the black gyaru community. She has been doing videos for about 6 years now on the popular site. Her videos usually focus on Asian beauty culture as well as some cosplay videos. Among her fashion and makeup videos, you can also find her doing discussion and opinion videos on her channel. Cocoa is an alternative model in the United Kingdom. The most striking characteristic of the girl is her bright, unicorn hair. You’re not only getting reviews and tutorials, but you’re also getting tons of vlogs. She has many videos so you can definitely binge watch many of them. It’s also inspiring to see how much she has grown within the alternative style. So by all means, check her out! Tia videos are a bit different from the rest as her videos are more on the side of vlogging. She shares videos on her journey and the lessons that she has learned in life. It is more on the side of her lifestyle. She also shares with her audience some of her interests like anime, kdramas and cosplay. I recommend her for any young person that’s going through life and trying to find themselves. It’s nice knowing you are not alone in going through something. 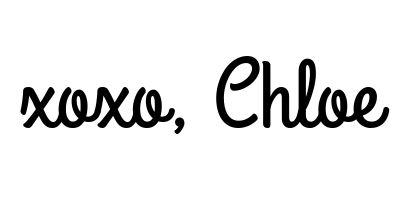 As a bonus, I wanted share with you guys a channel for those who just love kawaii fashion. It’s basically a channel for girls into Asian or Alternative fashion who can’t find anyone who looks like them. They offer a space where black and mixed girls can feel included. But that’s not all, they also extended open arms to trans girls and non-binary girls as well. They’ve only started this year but have quickly grown, with consistent videos being put out.